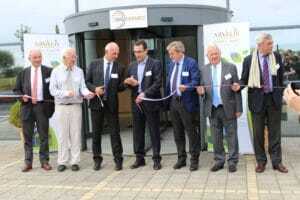 Digital technologies for plant industry. To support the development of digital technologies, ARVALIS has developed its skills in the fields of big data processing, the modelling of biological cycles, sensors, decision-making tools, and machine guidance. With these developments, new roles have sprung up within the teams: optical electronics engineers, bio-statisticians, data scientists. As part of a collaborative and open research approach, ARVALIS has joined forces in the first instance with IDELE, ITB and Terres Inovia to produce an outdoor experimentation set-up called DIGIFERMES®. 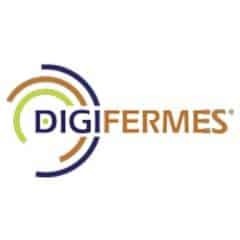 These DIGIFERMES® "digital farms" implement connected tools and services under real-life conditions. The two geographical sites of the DIGIFERMES® (Essonne in the Ile-de-France and Meuse in eastern France) can measure the performance of tools and services in a variety of production contexts (innovative major crop systems, organic agriculture, crops under permanent cover, cattle pasturing and rearing). As well as serving as demonstration platforms, these DIGIFERMES® can be used to test new ideas and prototypes. The goal is to help inventors transition from concept to practical work. Starting this year, a series of projects has been undertaken with start-ups and major corporations, to conduct full-scale experimental tests.